If you’d rather review the chat itself, instead of his summary, click here. You may feel that “business first” is an obvious approach to take with analytics, but I assure you that it is anything but ubiquitous. It means that business objectives drive the business domain to which analytics are applied (what I have usually called “targets”), there are business objectives in place before the analytics are generated, and business considerations constrain the time and expense devoted to the analytical exercise. That may sound less fun than analysts running wild in an analytical sandbox, but it is generally the most effective and efficient approach to analytics. Most of the participants in the Twitter Chat seemed to agree with the business-first idea. That was certainly the case with Raman Sapra (@raman_sapra), my co-tweeter and the global head of Dell Digital Business Services. Sapra oversees services in a lot of different domains for Dell — cloud, mobile, and social media, in addition to business intelligence and analytics, and I got the strong impression from my collaboration with him that he believes in a business-first approach to all these techno-domains. Sapra also cited the 2015 Dell Digital Business Services / IIA-sponsored survey—Advanced Analytics and Big Data Adoption Report finding that 68 percent of business decision makers used analytics insights as part of their strategy. He also noted later in the chat that smaller companies particularly need to scale up their analytics capabilities. One expert participant who validated some of these ideas was Diego Kuonen (@DiegoKuonen), a Swiss statistician and data scientist. He has a set of four rules (embedded in this online presentation) to ensure successful outcomes in an analytics project, which he attached as a tweet. Two relate to this topic. One involves “Having a strategy for the project and for the conduct of the analysis of data (strategic thinking).” Most strategic thinking certainly includes thought about the business objectives. Secondly, he notes that good analytics projects mean “Applying sound subject matter knowledge (domain knowledge), which should be used to help define the problem.” He also mentions several other benefits. In analytics, domain knowledge means knowing the business process and problem to which analytics will be applied. Sapra diplomatically (and correctly, in my view) replied that both are needed for success. The final topic of the Twitter Chat involved examples of companies that had done an excellent job of driving analytics from a business perspective. Sapra gave his answers by industry, including supply chain optimization in manufacturing, population health and patient readmission in healthcare, fraud in banking, telematics in insurance, and promotion effectiveness in retail. He gave a specific example at the University of Kentucky, which used analytics to reduce student attrition by 2 percent. I provided two specific examples with different emphases. Procter & Gamble (an IIA “Excellence in Analytics” winner in 2012) is primarily focused on analytics to improve internal decision-making, and they’ve done a great job of it. GE, on the other hand, is primarily using analytics in customer products and services—particularly around industrial devices and in the Industrial Internet. Of course, there are many more possible examples, but you can only say so much in 140 characters and half an hour. Given those constraints, I felt that the Twitter Chat managed to shed some light on an important and sometimes complex subject—the relationship between analytics and business strategy and objectives. Now that Twitter is reportedly thinking of extending the character limit from 140 to 10,000, perhaps future chats will be much more verbose! 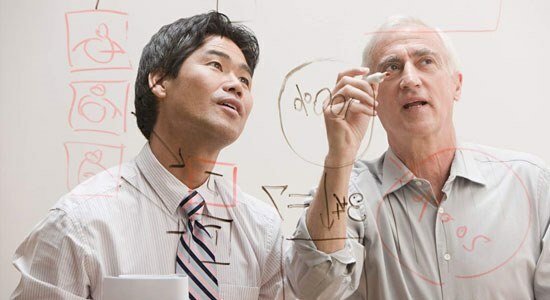 What do advanced analytics mean for business? We asked the questions, and now you can have the answers. Read the Advanced Analytics and Big Data Adoption Report 2016, authored by International Institute of Analytics and sponsored by Dell Digital Business Services. Get valuable insight from 304 respondents who were asked about analytics and big data maturity, trends and execution among organizations. The results may surprise you. 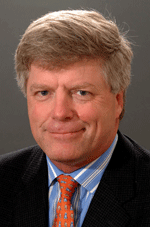 Tom Davenport helps guide IIA’s research efforts. He is the President’s Distinguished Professor of IT and Management at Babson College, and a research fellow at the MIT Center for Digital Business. Tom’s Competing on Analytics idea was named by Harvard Business Review (HBR) as one of the 12 most important management ideas of the past decade and the related article was named one of the ten “must read” articles in HBR’s 75-year history. His most recent book, co-authored with Jinho Kim, is Keeping Up with the Quants: Your Guide to Understanding and Using Analytics. There is none other like Dell. I can say this for dell because i have been using it products since ages. Dell stand for this approach.